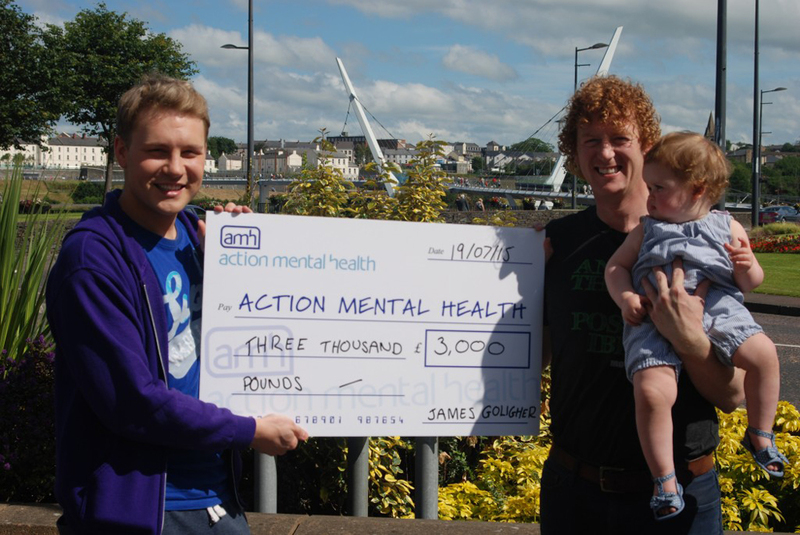 Local Derry Man, James Goligher took on the challenge of an Ironman and raised a staggering £3,000 for Action Mental Health. The Ironman consisted of a 2.4 mile swim, 112 mile bicycle ride and a 26.2 mile marathon. James raised the fantastic amount through sponsorship and a fundraising event. Well done James and thank you for helping us to Take Action on Mental Health!